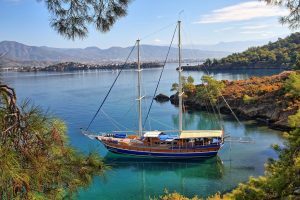 With so many high-quality gulets to choose from in the eastern Mediterranean, here, the experts at Guletbookers highlight five perfect luxury gulets to charter this summer for your next Turkish yacht holiday. The 36-metre Caner IV accommodates up to 12 guests across two generous master suites, two double and two twin cabins – all with en suite facilities. Built in 2008, Caner IV is a luxury gulet and features large interior and exterior spaces designed to make the best of the yacht life. Great for a relaxing family yacht retreat, ample sunbeds are found on the foredeck, as well as a comfortable seating area in the bow where guests can enjoy aperitifs as the sun sets. On the aft deck, guests can make the most of al fresco dining under the stars. 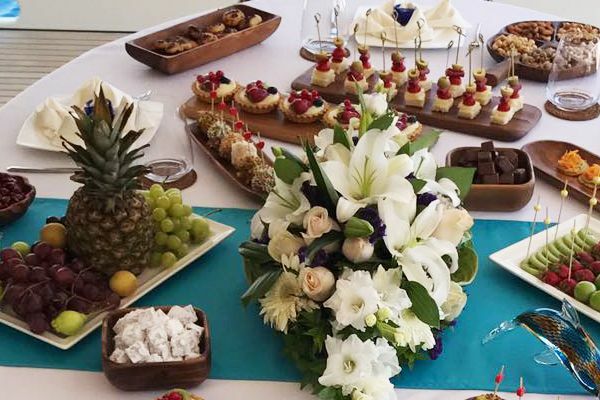 An experienced crew and a fantastic chef serve fresh Turkish Mediterranean cuisine daily, with Chef Sener winning the prestigious Chef’s Competition at the TYBA Charter Show 2018. 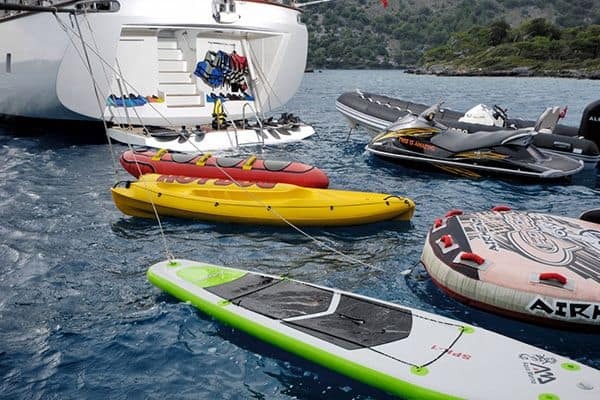 Canoeing, snorkelling and exploring the quiet coves or quaint coastal villages are all part of the extraordinary gulet experience enjoyed by guests on Caner IV – as is making the most of the wakeboards and jet skis! This is one of the most consistently high rating gulets for guest satisfaction. 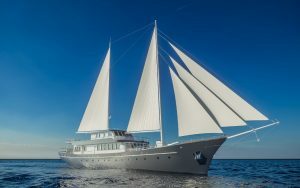 Available to charter in the Greek Islands as well as the Turkish Riviera, deluxe accommodation for eight guests is found on board the 24-metre gulet Didi. A yacht that proves that luxury can be enjoyed in intimate surroundings, Didi features a chic black hull and white wheelhouse, while inside, marble bathrooms and an Italian-designed interior await. 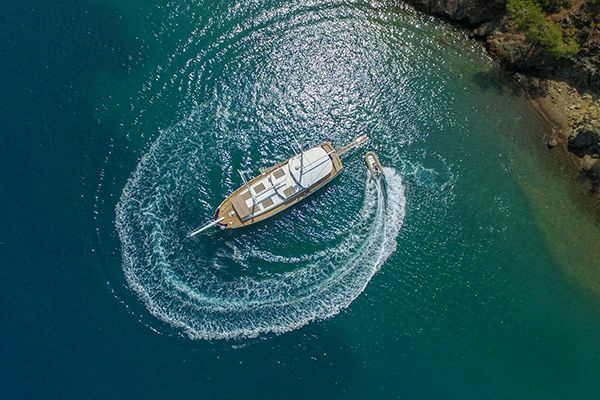 Ideal for couples looking for an exclusive and stylish luxury gulet cruise, Didi offers all the amenities needed to make the most of the yacht life on the Turkish Riviera or in the Greek Islands. An al fresco dining area aft makes the perfect area for evenings of fine food, conversations and cocktails. A luxurious daybed at the bow is perfect for sharing lazy hours in the sun, or evening drinks under the stars, while the foredeck carries individual sunbeds. 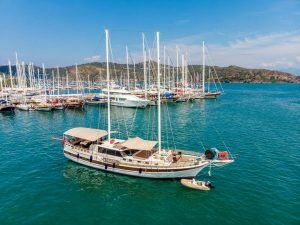 Sailing by motor or with the full sailing rig finding the best anchorages along the Turkish Aegean coast and the Greek Islands, Didi makes an unforgettably cool yacht charter holiday. 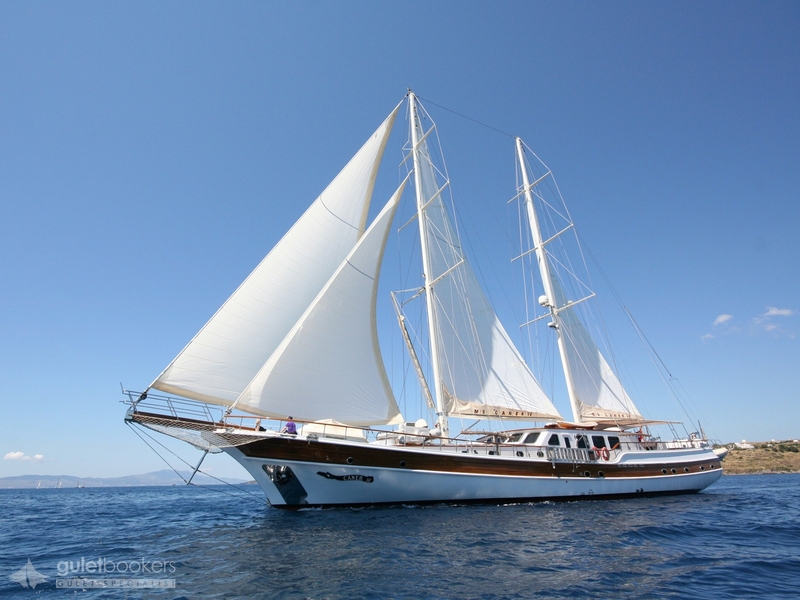 The luxury gulet Maske II is a traditional Turkish ketch with all the comforts of a crewed motor sailing gulet. Extensively refitted in both 2013 and 2016, she is in top condition with a newly added flybridge area to enjoy the best views of the ocean and surrounding spectacular sights of the Turkish Riviera day or night. Accommodating 12 guests on board across two master suites, one twin and three double cabins, Maske II’s smart layout offers a high level of flexibility for families or groups of friends. All cabins come with en suite facilities. In addition to superior inside and outside spaces furnished with sun loungers and comfortable seating areas, Maske II offers unrivalled access to the Aegean sea. Her drop-down swim platform set into the stern allows for easy and convenient access to the water and the use of water toys. 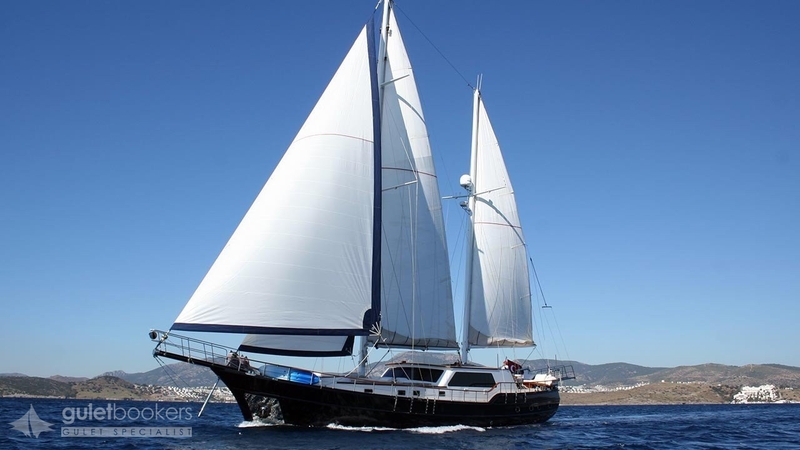 The professional captain, chef and crew provide guests with an excellent gulet cruise holiday along the Mediterranean and Aegean coasts of Turkey and the nearby Greek Islands of the Dodecanese. 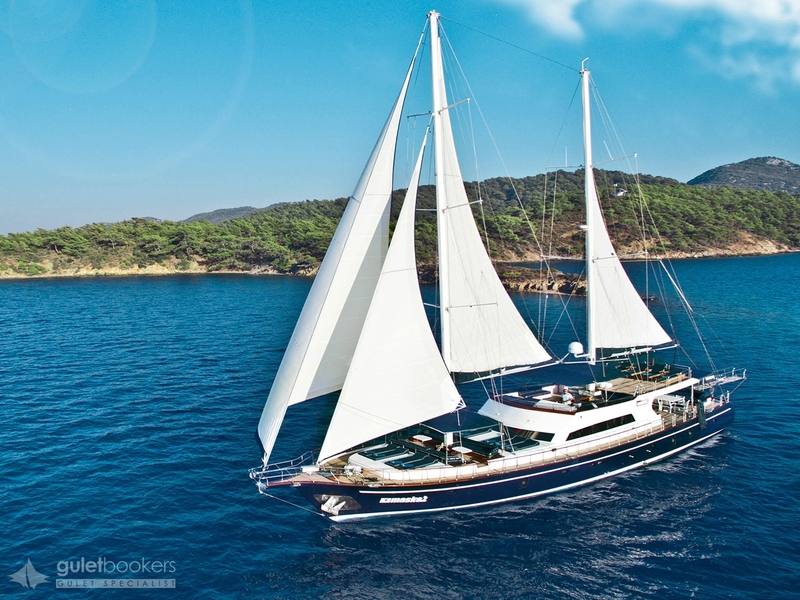 A 29-metre gulet cruise charter on the classic wooden yacht, the deluxe Enderim A, is made unique with the experience and personal touch of the owner-captain Hasan, who has completed many successful gulet charters. With the know-how from building earlier gulet yachts, Hasan’s family has combined a simple, practical design of space with the understated elegance of wood finished cabins and saloon. Fantastic audio and entertainment systems, two canoes, snorkels and a powerboat for water sports, means that Enderim A offers something for everyone on board. 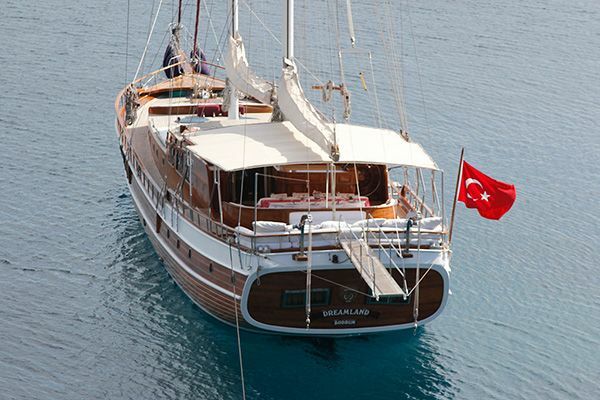 Luxury gulet Enderim A offers the spacious two master cabins and four double cabins each with their own well-designed bathrooms give all the privacy and comforts of home. 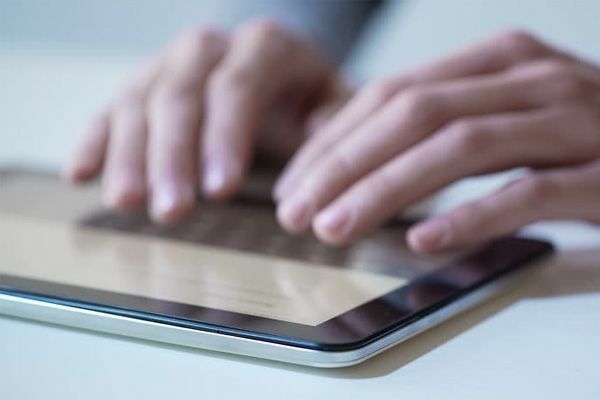 A group of up to 12 is fully catered for with indoor and alfresco dining tables as well as plenty of sunbeds and seating for conversation and relaxation. 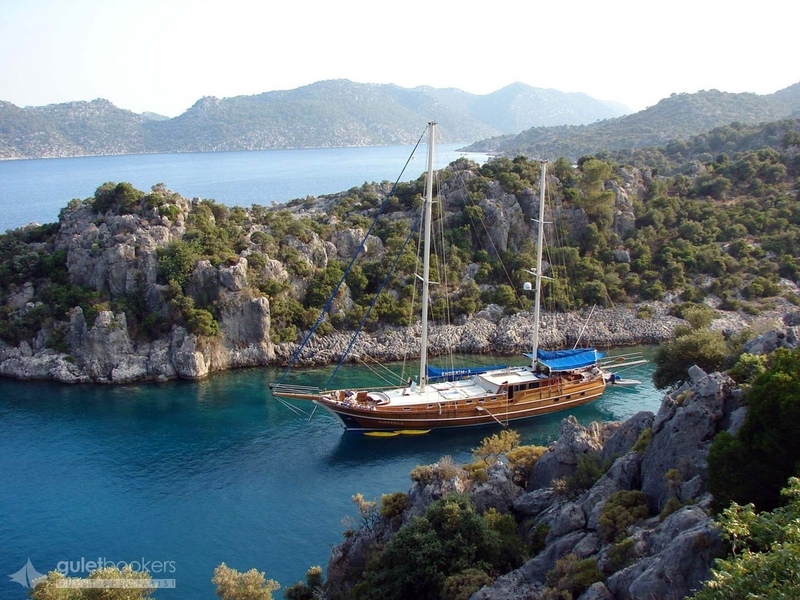 Enderim A gulet yacht is made for excellent cruise holidays along the Turkish coast which the Captain knows as well as his. Relax with your holiday in the best hands! €1800 – €2700 per day. 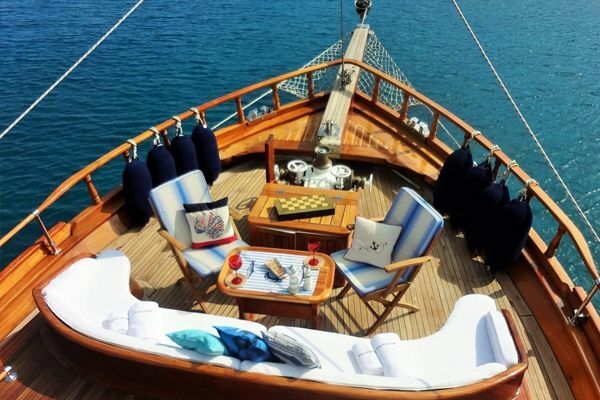 Luxury 30-metre gulet six cabins for 12 guests in Turkey and Greece. 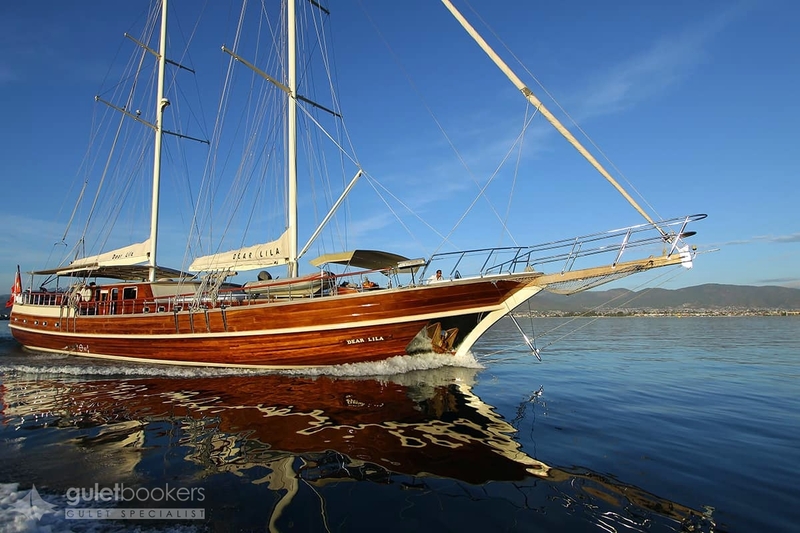 The elegant Dear Lila greets luxury gulet charter guests with gleaming mahogany and teak finish on deck, and understated luxury in the spacious saloon and cabins, while the crew delivers polished, friendly service for the entire gulet holiday along the Turkish coast. The master cabin on luxury Turkish yacht Dear Lila enjoys the generous space across the whole beam, with sumptuous leather banquettes and en suite bathroom. Together with a second master cabin, two double and two twin cabins (double plus single bed) all with en suite facilities, air-conditioning and TV, the boat allows up to twelve guests to enjoy luxurious comfort on their cruise in Turkey. The captain and three crew look after everything on board, ensuring that the more active guests on any gulet charter can fully enjoy Dear Lila with easy access to the canoe, water ski and Ringo water toys available – a fantastic way to have fun and discover the coves and beautiful bays of the beautiful Mediterranean coastline. Guletbookers cannot speak too highly of the level of satisfaction with the quality of service that guests enjoy on this immaculately maintained and presented gulet. To find your perfect luxury gulet for a quality sailing holiday in the Mediterranean, contact Guletbookers now at [email protected].